Love is in the air, and restaurant owners can smell it. Although it is not a national holiday, Valentine’s Day is ranked the second busiest day of the year for restaurants, second only to Mother’s Day. The importance of this holiday is not lost on us at Social High Rise, and we’re bringing you three ways to delight customers on this national day of love. Valentine’s Day is not just for couples anymore! According to recent studies, 45.2 percent of Americans identify as single. There are more single adults living in the United States than ever before in history! This trend has given way to an unofficial holiday known as Galentine’s Day, a holiday first made popular by the fictional character Leslie Knope on the hit show Parks and Recreation. Dubbed as “the most wonderful day of the year,” it is a time for ladies to come to together and kick it “breakfast-style” the week or so before Valentine’s Day. 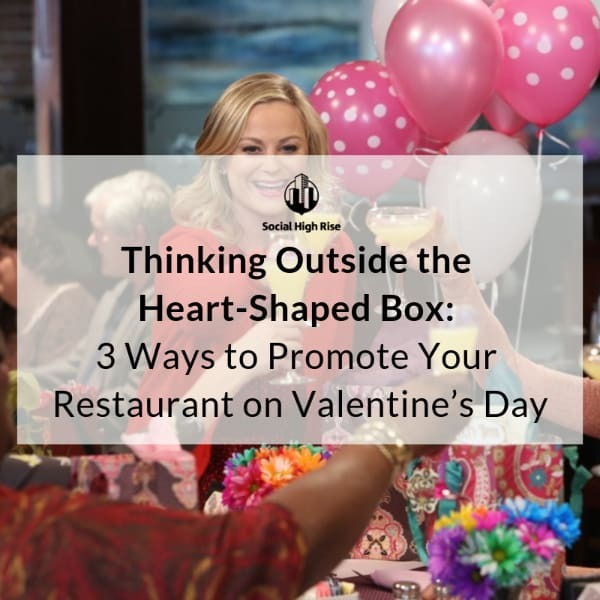 Promoting your restaurant as a space for the gals to gather together will bring in revenue ahead of the usual Valentine’s Day crowd, just as these restaurants did in New York. 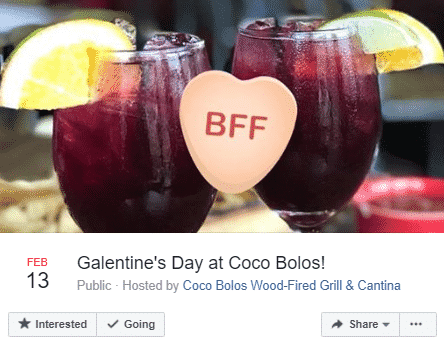 Who knows, maybe Galentine’s will become more popular than Valentine’s Day, and that’s fine by us! Brunch, anyone? It goes without saying that Americans love their dogs. We even have Instagram pages dedicated to them. According to the American Pet Products Association, Americans spent $69.35 billion on their pets last year, and we are on a trend to spend even more in 2019. A quick Google search of “dog-friendly patio” yields over 147 million results! What can you do to entice these dog moms and dads into choosing to dine at your restaurant on Valentine’s Day? 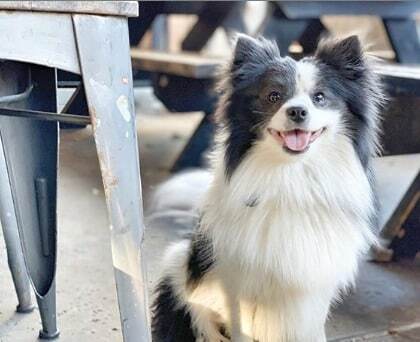 Use your social media pages to let dog owners know that their fur babies are as welcome in your restaurant as the humans are. They’re likely to choose your restaurant over non-pet friendly places on Valentine’s Day, and keep you in mind for future outings with their pup. Want to go the extra mile? Throw a special doggy treat into their doggy bag! Tug at your pet-loving customer’s paw strings and you will reap the benefits – including puppy kisses! In the 2010 Census, there were 74.2 million people living in a household under the age of 18. According to the Bureau of Labor Statistics, the average household spends an average of $3,008 per year on dining out. This information is not lost on restaurant owners, and many choose to focus on the entire family on Valentine’s Day. Not everyone can afford a babysitter, or even want to use one! 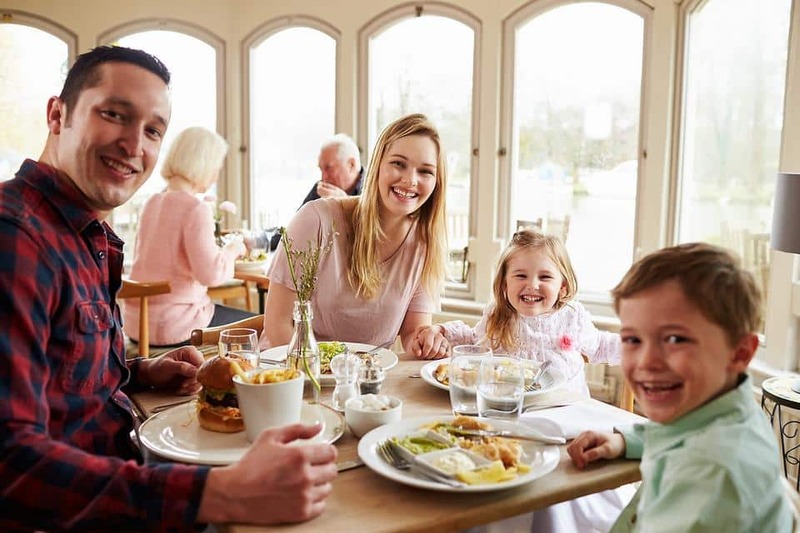 Offering ‘kids eat free’ or half-off promotions will delight parents who want to spend the holiday with the entire family or can’t get a sitter. Be sure to promote your family-oriented specials on your restaurant’s social media pages! Don’t fall into old habits by promoting your restaurant as a destination for couples only. Diversify your marketing efforts to include everyone, even man’s best friend. 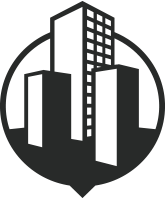 Your customers will, for lack of a better word, love you for it, and keep you at the forefront of their mind for future date nights or girls night out. Happy Valentine’s Day! Interested in more ideas on how you can capture the hearts (and stomachs) of potential customers on Valentine’s Day this year? Check out this great article by Toast: 7 Restaurant Valentine’s Day Ideas Your Guests Will Love.